The president’s nominee for attorney general, William Barr, said Wednesday that he doesn’t think special counsel Robert Mueller is on a “witch hunt,” doesn’t think he should be fired and is committed to making sure that Mueller finishes his investigation, according to Republican Sen. Lindsey Graham. Graham, who chairs the Senate Judiciary Committee, spoke after meeting with Barr, who was making the rounds with senators ahead of his confirmation hearing scheduled for next week. He said it took about “three seconds” for him to get the answer he was looking for concerning what Barr thinks of Mueller. “I can assure you, based on what I heard, he has a high opinion of Mr. Mueller, believes that Mr. Mueller is doing a professional job – will do a professional job and will be fair to the President and the country as a whole and has no reason for Mr. Mueller to stop doing is job and is committed to letting Mr. Mueller finish,” Graham said. “When the report is handed over, what do you intend to do with it?” Graham said he asked Barr. William Barr, left, nominee for attorney general, meets with Sen. Lindsey Graham, Jan. 9, 2019, in Washington. After Trump fired then-FBI director James Comey in May 2017, legal experts suggested Mueller was pursuing an obstruction of justice case against the president. Graham says Barr intends to tell senators why he wrote the letter. The South Carolina Republican went on to say that pursuing an obstruction of justice charge for firing a political appointee is a “slippery slope” and that he shares Barr’s view. Mueller and Barr worked together in the early 1990s when Barr was Attorney General under President George H.W. Bush and Mueller was the head of the DOJ’s Criminal Division. 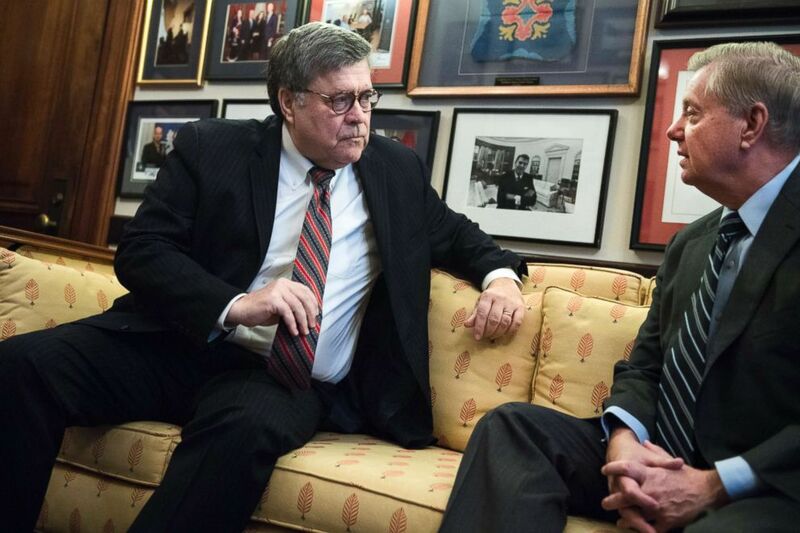 Graham said Mueller and Barr are “best friends” and have known each other for over 20 years, their wives have been in a Bible study group together and Mueller has attended the weddings of two of Barr’s daughters.